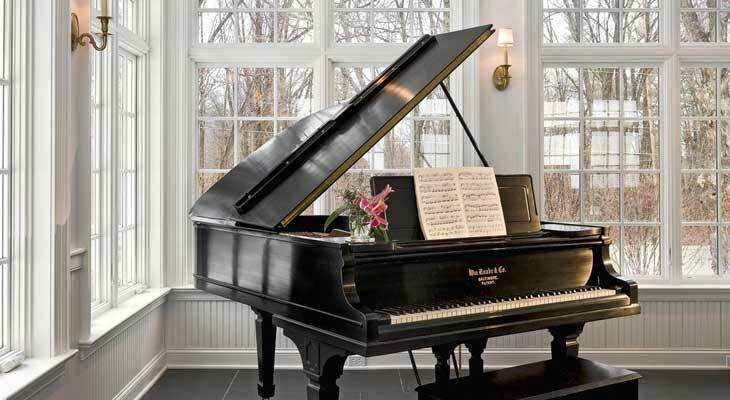 Fastruck Moving Company is proud to deliver our professional piano moving services to your household. Fastruck Moving is experienced in moving all types of pianos in the Los Angeles area – from spinets to antique square grand pianos. Our Los Angeles piano movers will handle your priceless music instrument carefully, yet efficiently. Unlike many other piano movers in Los Angeles, Fastruck Moving is fully licensed and insured. This will decrease your worries in regards to mishaps and accidents. Our piano moving rates are all-inclusive and flat-rate. All necessary materials that are required to pack and transport pianos, fuel and mileage, and equipment is included in this flat moving rate. Before you reserve a piano move with, kindly provide us all important details. First, we would like to know what time of piano is being moved. Is it a spinet, upright, baby grand, grand piano, or grand convert piano? Next, we would like to find out the layout your residence: do you have any stairs, how many steps, any turns or spiral staircases, narrow landing areas? All these details will allow us provide you more accurate quote so you would avoid surprises at the end. Additionally, these factors determine the number of movers that will be servicing you. Each order includes 3 hours of moving, and a total of 50 miles traveling from our warehouse to pick-up, to drop-off and back to our warehouse. Each additional mile beyond the first 50 miles is $3 for 2 mover jobs, and $5 for 3 mover jobs.